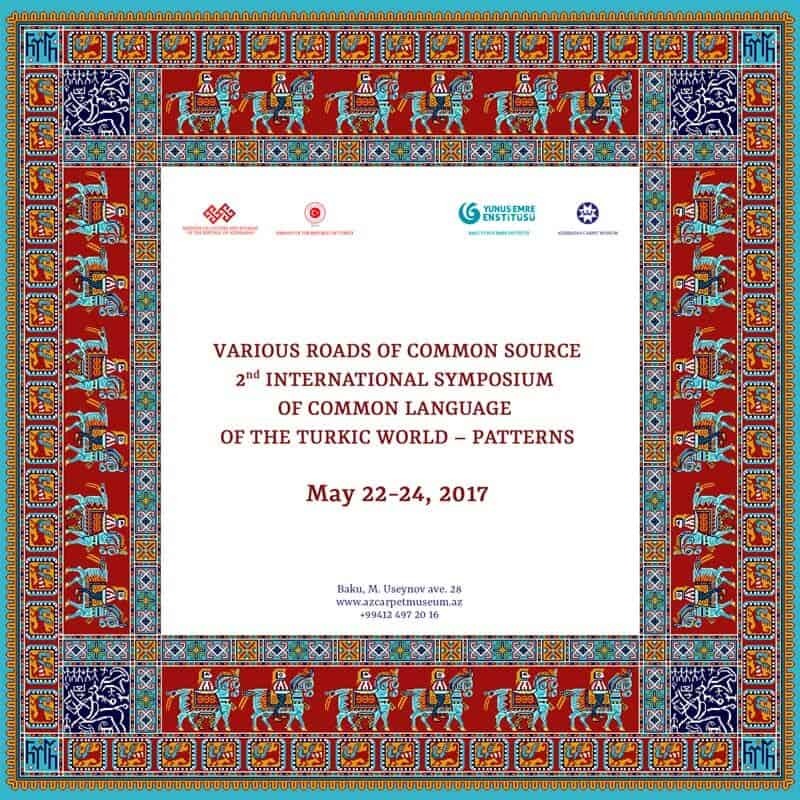 The Baku Turkish Cultural Center of the Yunus Emre Institute, the Ministry of Culture and Tourism of the Republic of Azerbaijan and the Azerbaijan Carpet Museum will hold the Second International Symposium of Common Languages of the Turkic World – Patterns from 22-24 May 2017 in Baku. The theme of the symposium is the art of the Turkic patterns, which cover the main historical periods as BC, Islam and others, till present day. The organizers look forward to the presence and proposals from scientists working in the field of typological classification of pattern features. Deadline for proposals and papers is 1. April 2017. Coordinators of Symposium: Aynur Mammadova, Azerbaijan Carpet Museum and Nurana Taghiyeva, Baku Turkish Cultural Center of Yunus Emre Institute.